Considered the father of the American art furniture movement, Wendell Castle’s work reflects a sardonic sense of humor along with uniquely sculptural use of materials. He is best known for designing pieces that straddle the line between form and function. The recipient of many honors and awards, including four National Endowment for the Arts grants and three honorary degrees, Castle’s work is found in more than 40 museums and cultural institutions worldwide. With Veiled in a Dream, Castle experiments with innovative techniques and a recent interest in bronze to create a sculpture that provides visitors with both an object to admire and a chair on which to sit. 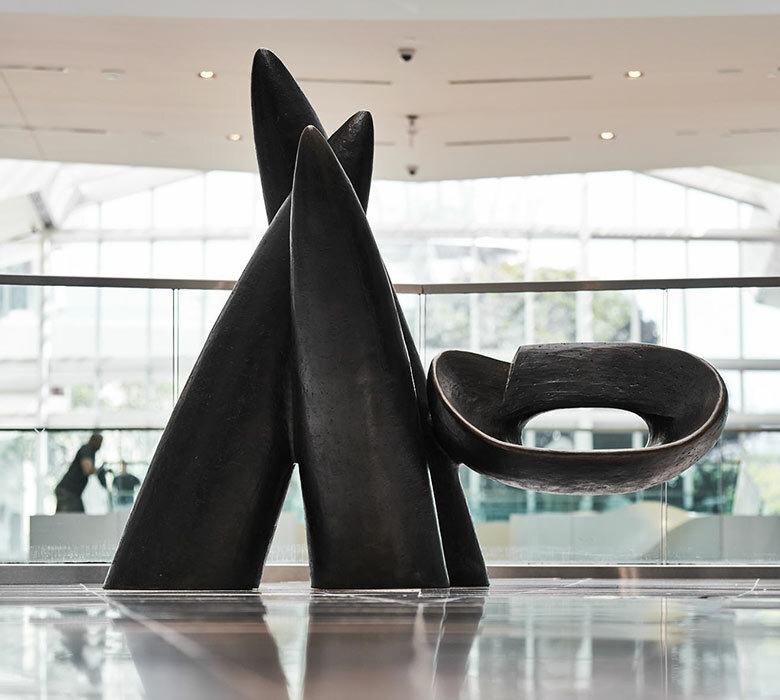 The piece reflects Castle’s fascination with re-defining the way design is viewed by exploring the sliver of creative space he discovered between furniture and sculpture. Born and educated in Kansas, Castle moved to Rochester, New York in 1961 and taught at the School for American Craftsmen. He is currently Artist-in-Residence at the school and maintains his art studio in nearby Scottsville.